Origin Native to China, Korea and Taiwan. It got introduced in 1853 and 1903. 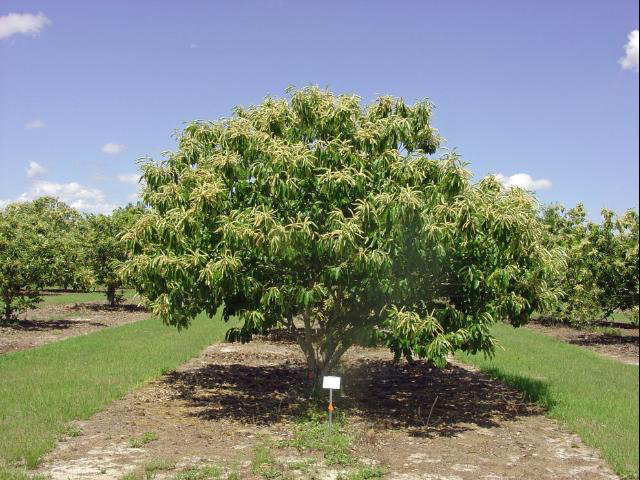 Chinese chestnut (Castanea mollissima) is a coarse textured tree of the Fagaceae family native to China, Korea and Taiwan. It got introduced in 1853 and 1903. 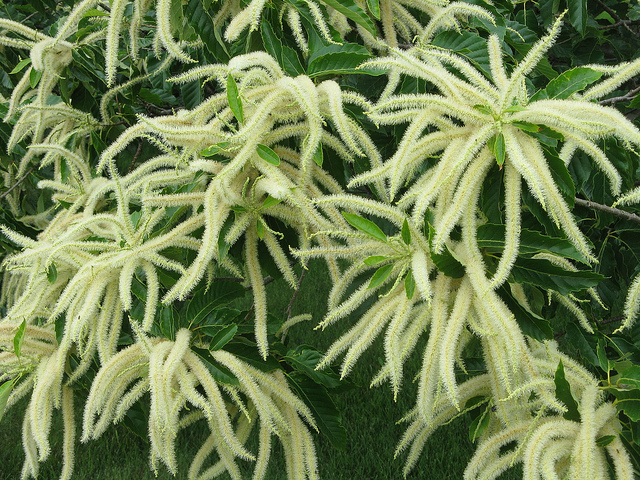 Chinese chestnut, Chinese hairy chestnut, châtaignier de Chine, chinesische Kastanie, shinaguri, Rōmaji castaño chino are common names of Chinese chestnut. 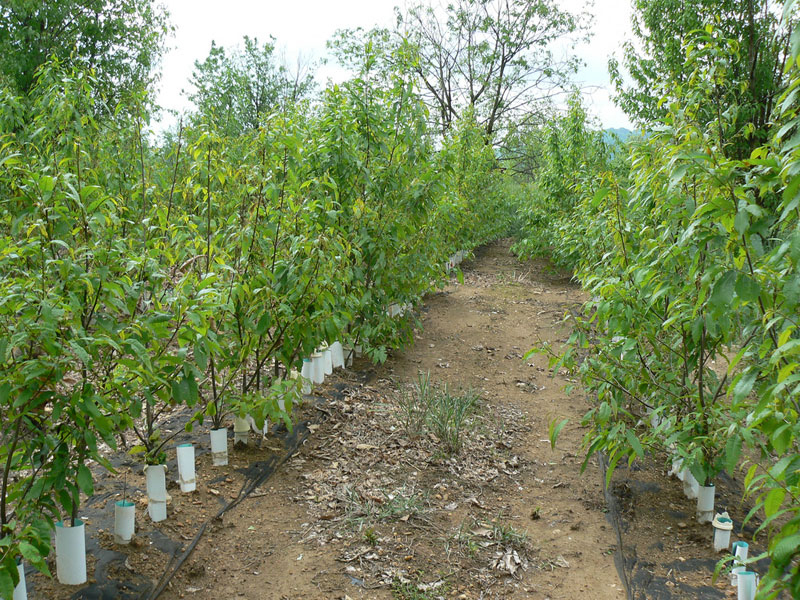 Chinese chestnut is the rounded and low branched tree that could reach 40-60′ high. Its leaves are alternately arranged, simple, pinnate, ovate-lanceolate, dark green; 10-30 cm long and 4-10 cm wide. The fragrant, showy flowers are pale yellow or cream in color and 4–20 cm long which appears in June. The shiny brown fruits are spiny cupule which is 4-8 cm in diameter. The fruit has mild, subtle flavor and sweet taste. This plant prefers hot, dry climates and well-drained soils. 28.35 grams of raw Chinese chestnuts covers 12.46 grams of water, 64 calories, 1.19 grams of protein, 0.31 grams of total fat, 0.47 grams of ash and 13.91 grams of carbohydrate. 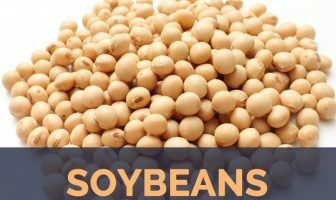 The same amount offers 19.74% of manganese, 11.44% of copper, 11.33% of Vitamin C, 10.70% of carbohydrate, 8.92% of Vitamin B6, 5.71% of magnesium and 5% of iron. 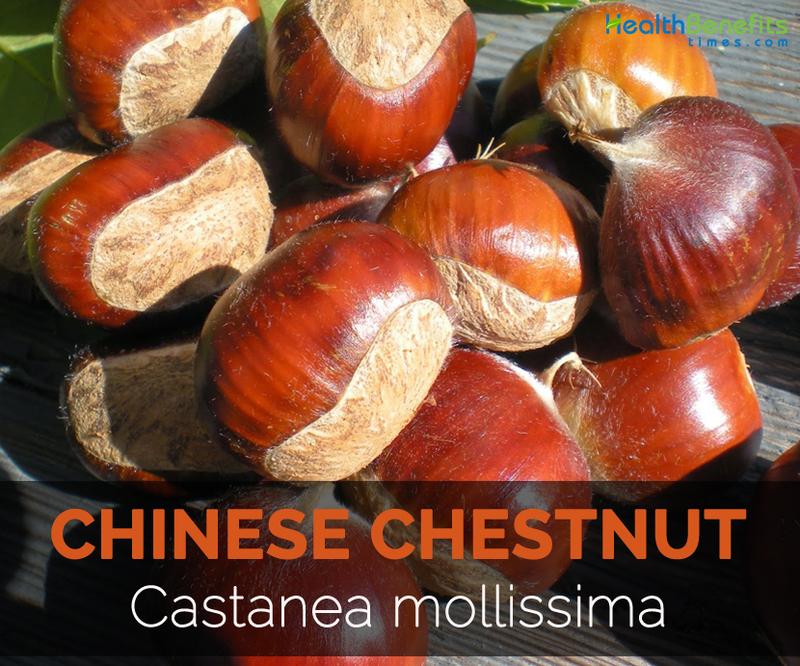 Chinese chestnuts assist in the body building, prevent pyorrhea and eliminates the teeth problems. The leaves are used as an aid for fever. 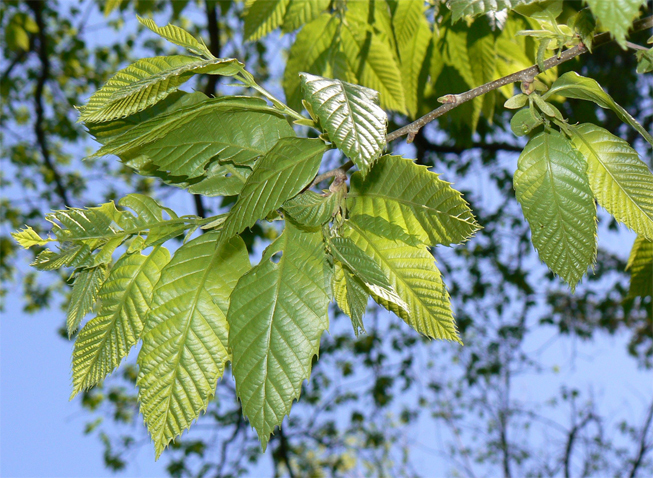 Chestnut also provides relief from whooping cough and respiratory ailments. It also prevents the damage and swelling of capillaries and blood vessels. The burrs possess tannin and are considered as stomachic and astringent. A decoction is used to cure diarrhea, dysentery, nose bleed, profound thirst and regurgitation. Flowers are used to treat scrofula. The stem bark is useful for poisoned wounds. The sap of the stem helps to treat lacquer poisoning. The plant may irritate the skin or cause an allergic reaction. Plant has sharp edges or spines so it should be handled with extreme caution. 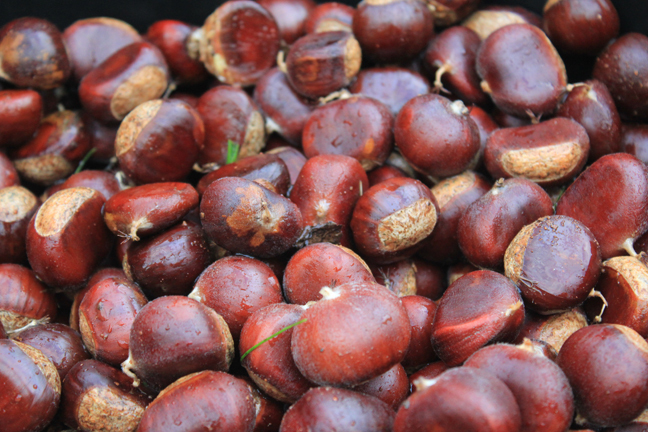 Chestnuts are consumed raw, deep-fried or roasted. In Japan, it is consumed as steamed chestnut rice. In Korea, sweet dessert named yaksik is prepared with jujube fruits, chestnuts, pine nuts which is mixed with glutinous. Castanea sativa var. bungeana (Blume) Pamp. Castanea sativa var. intermedia Pamp. Castanea sativa var. mollissima (Blume) Pamp. 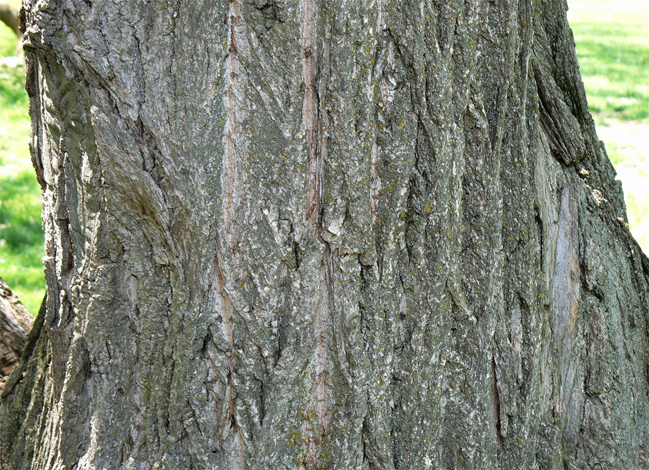 Castanea vulgaris var. yunnanensis Fr. Calories 64 Kcal. Calories from Fat 2.79 Kcal. Calories 103 Kcal. Calories from Fat 4.59 Kcal. Calories 68 Kcal. Calories from Fat 3.06 Kcal. Calories 43 Kcal. Calories from Fat 1.98 Kcal.